Her personal life in turmoil, her job as a cop over, she’s been called to Ireland by the magic within her. And though Joanne’s skills have grown by leaps and bounds, Ireland’s magic is old and very powerful…. In fact, this is a case of unfinished business. Because the woman Joanne has come to Ireland to rescue is the woman who sacrificed everything for Joanne-the woman who died a year ago. Now, through a slip in time, she’s in thrall to a dark power and Joanne must battle darkness, time and the gods themselves to save her. 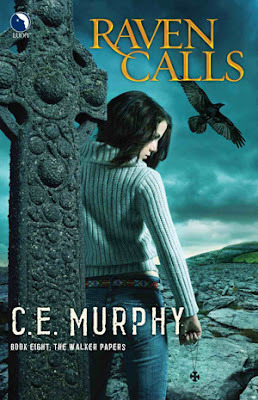 This book picks up almost immediately after the events at the end of the last book, Spirit Dances, with our lovely protagonist Joanne Walker on her way to Ireland to take care of that pesky werewolf bite. I had some very big expectations for this book after the way the last book ended, and in most ways those expectations were met, maybe even surpassed. And yet, I can't help deducting one respect point for the missing characters in this instalment. Phone calls are all well and good (very good, actually) but after being made to wait six books (SIX books!) for something to happen between Jo and Morrison, and then to have this be what I call a "departure book" - basically a book in a series that sticks out as separate from the rest in some way and can often be referred to as "the one where she goes to ... " and to have nearly all of the secondary characters I've grown to know and love be absent as well, was a slight disappointment. "On the positive side, I'd caught a banshee with nets before. On the less positive side, it had taken Sheila's help to hold it in place. But on another positive side, I was a lot more confident in my powers than I had been then. Of course, on the negative side that confidence was currently stymied by a werewolf bite and general uncertainty about using my skills at full bore. Then again, back on the positive side --- apparently I was an octagon---if things were going to explode, they might take a banshee or too along with them." This kind of dithering made the narrative seem friendly and relatable and I could really connect well with Jo because of it. 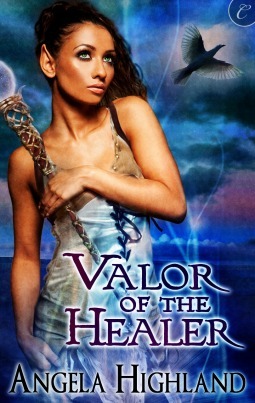 Obviously her Shamanic and fighting skills have both improved exponentially since book one, but that doesn't mean she always knows exactly what to do in any given situation. There is no "How to be a badass Shaman" handbook, after all. So seeing her face down the bad guys even with this level of uncertainty, really upped my respect for her as a main character.